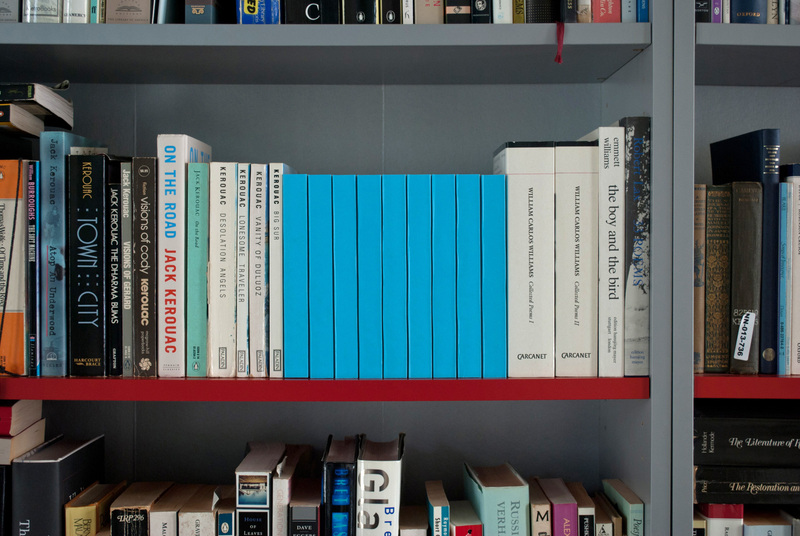 This book is a portable swimming pool that can be put on a bookshelf. 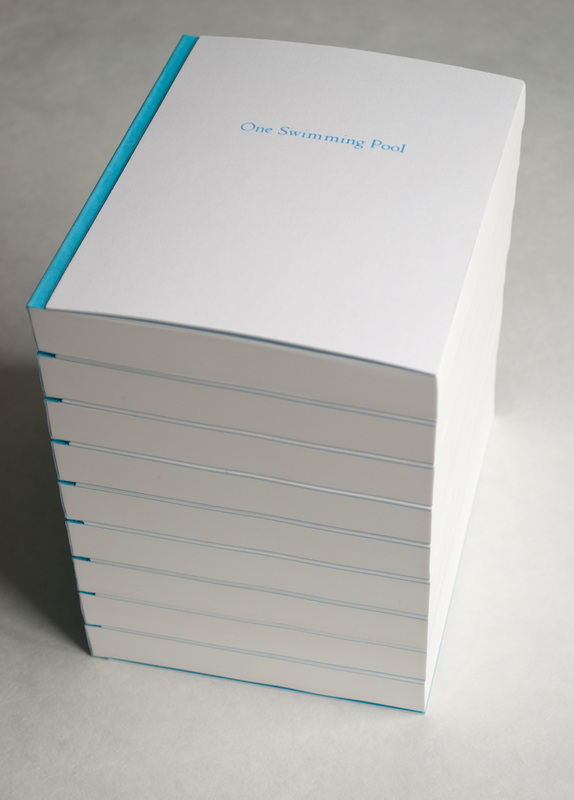 It is based on Ed Ruscha’s book Nine Swimming Pools and a Broken Glass from which one swimming pool was photographed. If the sheets are carefully removed from the book and laid down next to each other, this swimming pool can be installed at the size of a small swimming pool. The book was bound using an adhesive that allows the sheets to be taken out. Doing so will of course destroy the book in its bound form. Published in an edition of nine copies and an artist proof by Elisabeth Tonnard in Leerdam, The Netherlands, 2013. Installation size ± 648 x 648 cm. Book size 14.8 x 18.8 x 19 cm. Full color digital print, 3164 pages, bound in 9 sections attached to each other, plus inserted fold-out sheet with overview and instructions for installation. Of this edition one copy (nr. 9) is still available. The book is included in the collections of the Athenaeum Music and Arts Library in La Jolla, the Bayerische Staatsbibliothek in München, Getty Museum, New York Public Library (Spencer Collection), Texas Gallery in Houston, and the Walker Art Center in Minneapolis. See more images of the book. See images of the work installed here. See a time-lapse made at the Stedelijk Museum in Amsterdam during the exhibition On the Move.